A ‘Self-Directed IRA’ is an industry term used to describe an individuals ability to wholly manage their own financial future. The term is not overtly recognized by the IRS, in fact their website doesnt even utter the words, see here. I am not sure why this investment process is not publicized by the IRS, but I know why your local Ed Jones representative has little appetite for discussing the benefits of a self-directed IRA. Proprietary Funds! Fortune 500 brokerage houses want to sell you their funds, so a self directed IRA is perhaps seen as direct competition to them. I have recently rolled over my account from Raymond James Inc. to a self-directed custodian called Kingdom Trust. Kingdom Trust cannot advise me on what to buy, they just facilitate the holding of the assets. For instance, with part of my rollover money I wanted to have a stock trading account, so they facilitated the setting up for a TD Ameritrade account. I chose TD Ameritrade for their option trading platform, called Think or Swim. The account is set up in the name of Kingdom Trust for the benefit (FBO) of me. This gives me the control to trade stocks, options, commodities, currency, really anything that can be traded through TD Ameritrade. For someone like me who has an understanding of investing and the willingness to actively work on growing my nest-egg, a Self-Directed IRA is a good fit. For the person who has a lower risk tolerance and little interest in steering their own investment ship, then this may not be a good fit. I will not judge anyone for seeking a passive retirement approach with a large brokerage house, but what that typically means is investing in mutual funds, bonds, index funds or large blue chips. Brokers advise of these types of investments typically to protect themselves rather than make you money, that is what irks me! 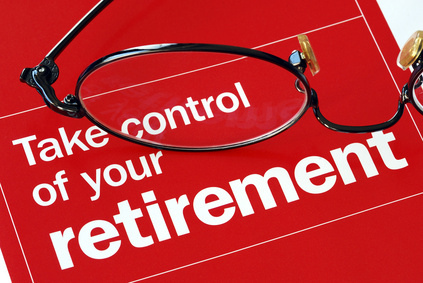 So what am I wanting to invest my Self-directed IRA in? I have a good friend (one who I consider to have immense investment knowledge) who has teamed up with an attorney to buy tax leins. They have been doing this for a couple of years and have about 100 investors. They have skin in the game, which was a prerequisite for me to get in! In fact my investment promise is the same amount that my good friend is committing to. They go to tax lein sales in Kentucky and Tennesee and buy hundreds of them. For my investment, they will buy me as many leins as possible. The attorney then sends letters to the responsible party who owes the back taxes, and attempts to set up a payment arrangement with interest of course. If the individual agrees, then I typically make 8% interest on the lein until the back taxes are paid in full. If the individual refuses to settle the past tax payments, then we have the right to foreclose on the property. This to me is a win/win situation. Essentially what we do when buying tax leins is “float” the local county, where the property is located, the amount of uncollected tax revenue from a specifc property. This helps to continue funding the local government, and for that we make a return on our investment. Why I am a nonconformist! I hate to do what the herd does, I think there is lost opportunity by doing the low maintenance, “easy thing”. 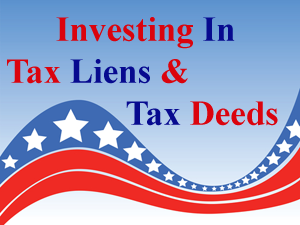 I may be wrong with regard to tax liens, if so I promise to be the first to admit it. At least you all can learn from me, cause I plan to report my tax lein progress with compete candidness! It is my desire to help you understand alternative investment vehicles, and to help you look below the surface where the real treasure is! Anyone have a great self-directed IRA story? Good article Jim! I’ve got no working knowledge of the tax liens you are invested in. Sounds like a profitable area, although I’d like to know more about the risk involved? The biggest risk I see is not being able to collect on the amount of the lien. I think having the leverage of people who have done this in the past and an attorney who specializes in this type of collection will certainly help. I will keep you posted. Jim, this sounds like a really smart move. 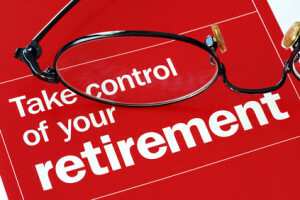 I knew very little about the self-directed IRA, so thanks for a valuable post! Thanks Laurie, I will have more posts on Self-directed IRA’s in the future. © 2012 to 3594 Critical Financial. All rights reserved.